That's our motto, and we're dead serious about it! One of the biggest obstacles to camping that people complain about is all the equipment and gear they have to lug to their campsite and then setup once they arrive. With Good2GoCamping, you just have to show up and start camping! 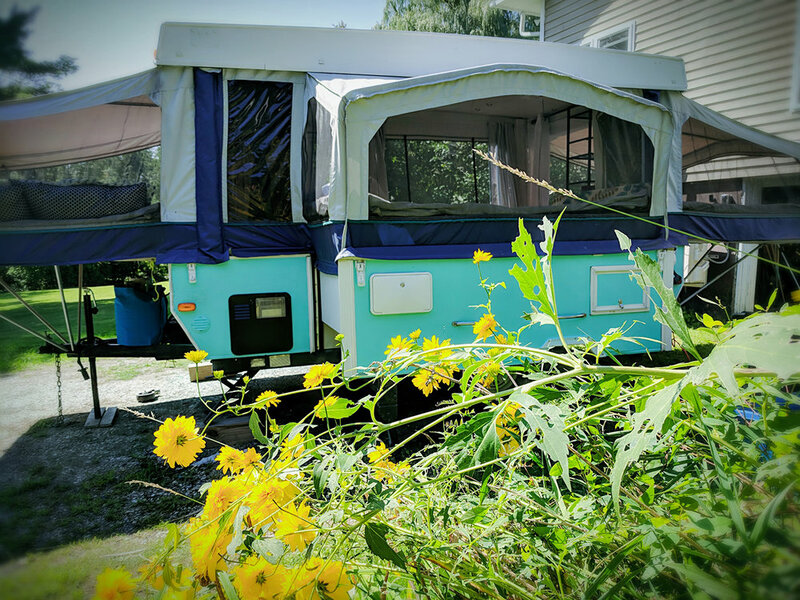 We'll deliver one of our unique and boutique, up‑cycled pop‑up campers directly to your campsite and set it up for you to enjoy. And these babies come fully loaded and ready for some serious glamping! 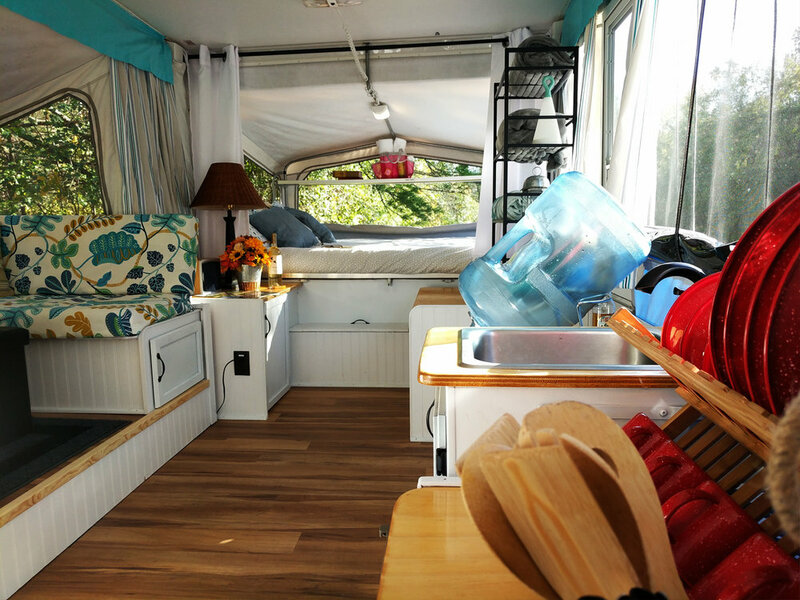 We provide cookware and dishes, bath and beach towels, freshly cleaned bed linens and pillows, camp chairs, an outdoor rug, flashlights/lanterns, games, and even umbrellas in case it rains. We also stock these campers with some starter provisions like snacks, breakfast fixin's, and s'mores ingredients. So if you've always wanted to experience the wonders of camping, but felt too overwhelmed by it all, we've got you! The Diane is Now Available!